This is one recipe that is definitely a keeper. Would definitely make this again for future dinner parties as it is extremely easy and most ingredients are easily accessible. I omitted chilies and rice noodles as I made this to go with rice. I am not a big fan of coriander either hence I didn’t add that into the dish. Even then, it tastes great! Simple, healthy and yummy. 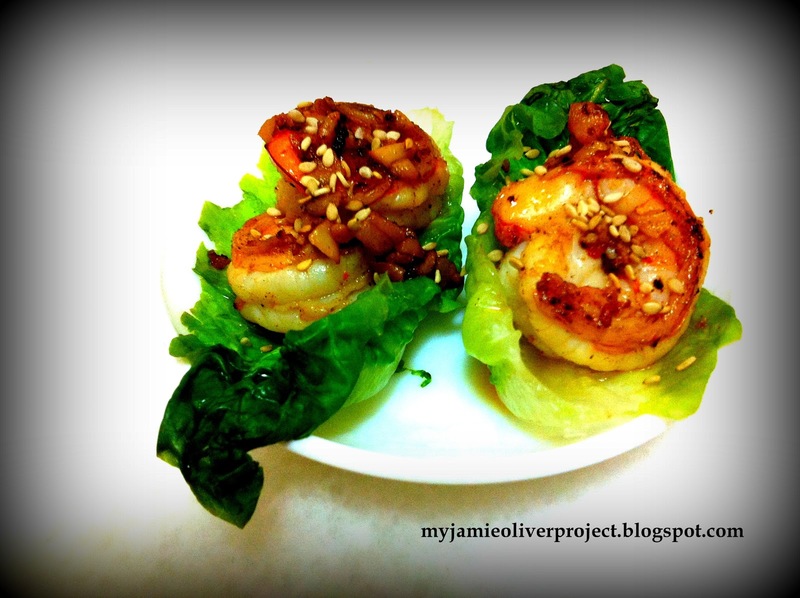 In a bowl, mix the raw prawns with the five-spice, ginger, lime zest and a splash of sesame oil, then leave to marinate. Meanwhile, cook your rice noodles following pack instructions. Drain and toss in a little sesame oil. Allow them to cool then add the lime juice, chilli, sesame seeds and coriander leaves. Mix well. Heat a frying pan or wok until really hot and stir-fry the marinated prawns for 2 or 3 minutes until cooked. Set aside. 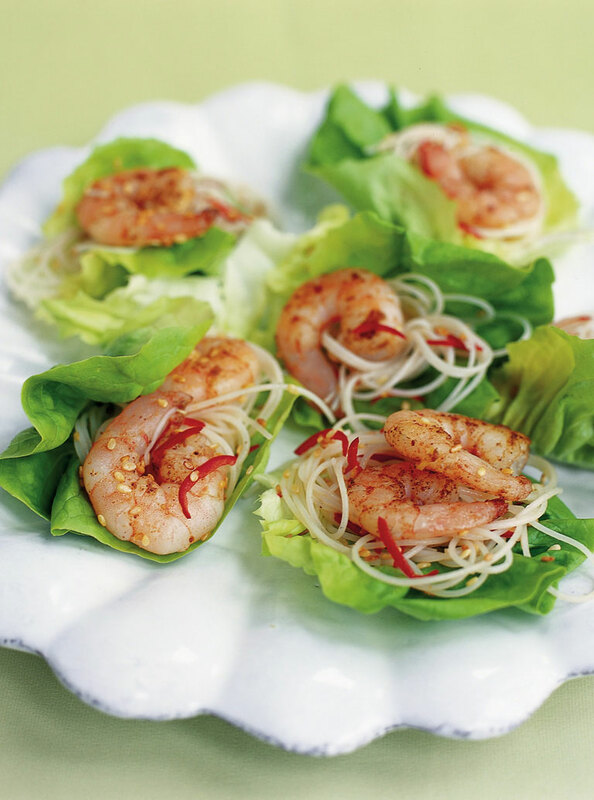 To assemble your pinch salad, take a nice, cupped lettuce leaf and pile on a little of the noodle salad. Top with a couple of cooked prawns. Repeat until you have 12 little lettuce cups. To eat, pinch each cup together with your fingers and enjoy!